Website malware, also known as web-based malware, is presently a serious threat to Internet security. This is evident based on the fact that website malware attacks lead to serious security consequences. With the Internet playing a key role in our daily lives, there are indeed millions of web services and web applications on the web, such as social networking sites, content sharing sites, oﬃce applications, entertainment sites, and education sites. 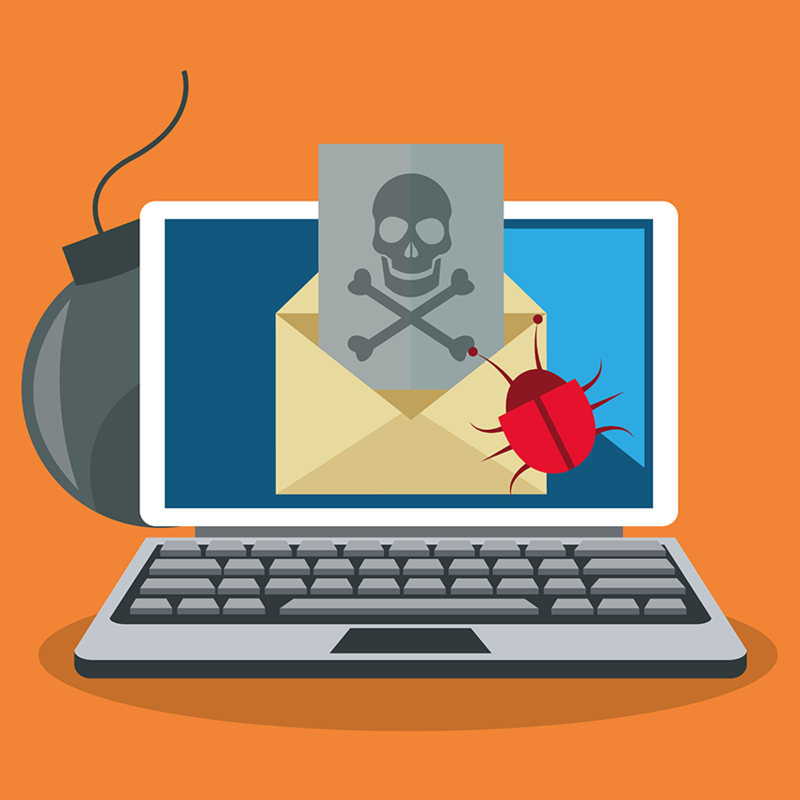 With this growing popularity, the Internet also attracts the attention of cybercriminals who use thousands of malicious URLs as distribution channels to spread malware throughout the Web. Web malware thus infiltrates a computer every time the user visits malicious websites. After a victim gets infected with web-based malware, hackers take complete control of the victim’s computer. This computer is then used by the hackers to execute different cybercrimes such as spamming, distributed denial-of-service (DDoS) attacks, and stealing banking credentials etc. When visitors to your website get redirected to another website (especially a suspicious site) you can be sure that your website has been affected by a malicious redirect. Backdoors are one type of malware that functions as an entry point for cybercriminals, permitting them to obtain and maintain insistent access to your website. Possessing this access to your website, cybercriminals will be able to easily modify your website’s appearance, expose confidential customer data, and do several other malicious activities. The worst part is that you may not even notice a backdoor file as they could just go undetected. Defacements permit cybercriminals to substitute your website’s content with their own message, and this mostly promotes a religious or political agenda. This attack can actually turn visitors away by preventing them from completely accessing your website and/or upsetting them with the shocking message. Malvertising is a web-based malware technique that spreads malware by encouraging users to click on an ad, or via a “drive-by” download, which leads to an automatic infection when a visitor visits the website. Cybercriminals can either upload their own malicious ad to an ad network responsible for distributing the ad across of websites simultaneously or either inject malicious code into an advertisement. Google and several other popular search engines use the blacklisting technique to constantly review websites for malware and they could also remove infected websites from search results as part of an effort to prevent users from visiting these infected websites. To protect visitors from malicious content, search engines can also place a warning on websites that get blacklisted. This warning actually informs visitors that the website is infected, and prevents them from visiting that site. This results in traffic drop and your site’s visitors could even distrust your website and never return. Strange comments or links suddenly getting displayed on your website or a sudden loss in traffic are all signs of search engine optimization (SEO) spam. This spam takes advantage of two methods that help websites obtain a good ranking in search results: acquiring links from outside sources and the use of relevant search terms on a web page. Cybercriminals can very easily bring about a drop in your website’s search rankings by just inserting a large number of files with malicious backlinks and unconnected keywords into your website. This indeed results in a major drop in website visits. Thus, the above-mention threats that are becoming more and more sophisticated these days emphasis on a dire need for a good website malware removal tool to carry out effective web malware detection and remediation services. This is where cWatch Web comes in to play as one reliable and excellent web security that will detect, remove and also prevent further malware attacks. How cWatch can Help Detect and Solve Web Malware Issues? Comodo offers cWatch Web – Managed Security Service for websites and applications. This tool is available with a Web Application Firewall (WAF) provisioned over a Secure Content Delivery Network (CDN). A 4x7x365 staffed Cyber Security Operation Center (CSOC) of certified security analysts provides a wholly managed solution. Comodo’s Security Information and Event Management (SIEM) service is capable of leveraging data from more than 85 million endpoints in order to detect and mitigate threats even before they occur. This web security tool’s vulnerability scanning feature provides online merchants, businesses, and other service providers handling credit cards online with an automated and simple way to be amenable with the Payment Card Industry Data Security Standard (PCI DSS). cWatch Web’s malware detection scanning, preventive methods and removal services enable organizations to employ a proactive approach that will protect their business and brand reputation from web-based malware attacks and infections.